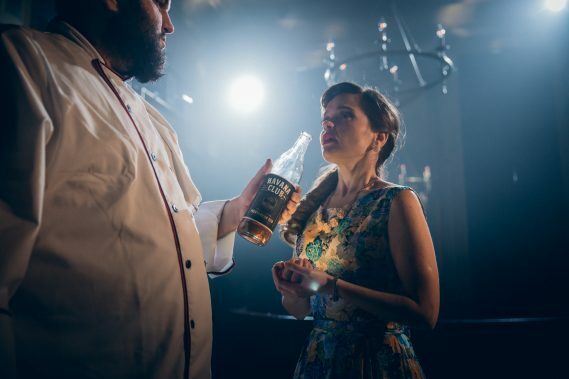 The Real HAVANA CLUB rum celebrates the Opening Night of the immersive theater experience, “AMPARO,” with a private, invitation-only showing on Friday, April 12th in Downtown Miami. Founders of The Real HAVANA CLUB rum, the Arechabala family, will be joined by celebrities, local socialites, and government officials for this private show and opening night celebration. WHAT: Opening Night will begin with red carpet arrivals at 8:00 p.m. followed by the showing of “AMPARO”, a 90-minute guided immersive theater experience. After the show, VIPs are invited to mix and mingle with the AMPARO creators, executive producers, cast and the Arechabala family at the official Opening Night after-party in the HAVANA CLUB rum garden.